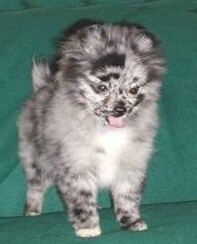 Breeders of the Merle Pomeranian have made great improvements to the Merle Pomeranians. 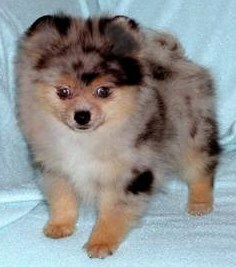 The quality has improved very quickly and Merle Pomeranians of exquisite type are now a regular sight in the show ring. The Pom Breed now have Champion Merle Pomeranians. A wonderful achievement by clever, knowledgeable and dedicated Pomeranian owners/exhibitors and breeders. 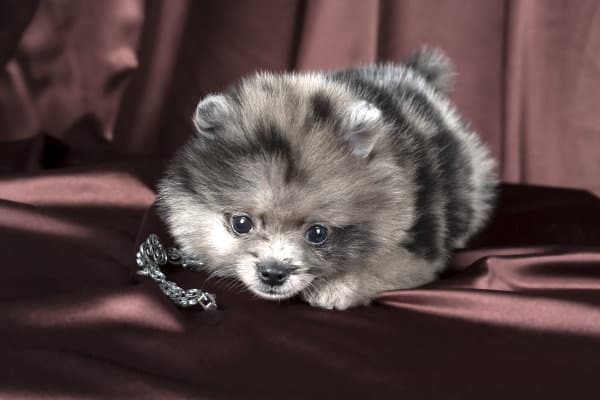 While most merle Pomeranian puppies are incredibly beautiful , there is important merle genetic information that is invaluable to Pomeranian breeders and purchasers of Merle Pomeranians. 1 Newcomers to the World of Pomeranians should also be aware that Merle Pomeranians are also a very recent addition to the Pomeranian World. 2 What Exactly is the Merle Color Pattern ? 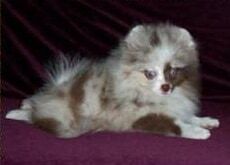 4 Breeding Merle to Merle Pomeranians. 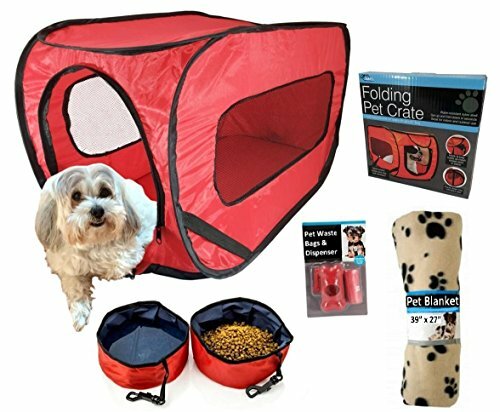 Newcomers to the World of Pomeranians should also be aware that Merle Pomeranians are also a very recent addition to the Pomeranian World. 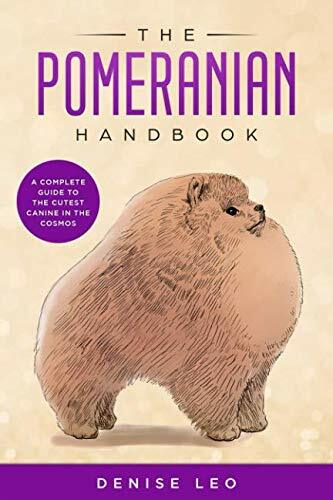 To be fair the same could be said about most of the other Pomeranian colors, but we must mention that the stud book, way back when Queen Victoria imported Marco and other Pomeranians from the continent, was not a closed stud book. 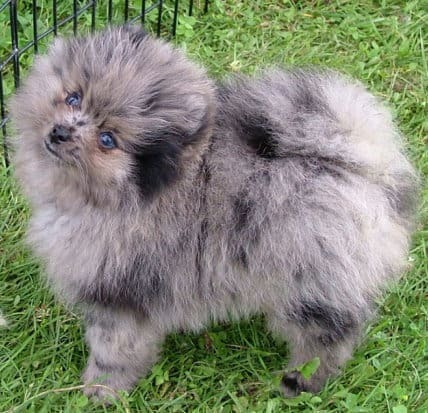 Many long term Pomeranian Breeders have expressed concerns about the Merle Pomeranians sudden appearance on the scene. A simple fact is that Merle is caused by a dominant gene. So a merle dog must have at least one merle parent. What Exactly is the Merle Color Pattern ? Merle is a color combination in dogs’ coats. It is a solid base color (usually red/brown or black) with lighter blue/gray or reddish patches, which gives a mottled or uneven speckled effect. Although most breeds that can have merle coats also typically have white markings (such as around the neck, under the belly, and so on), and often tan points (typically between the white and the darker parts of the coat), these are separate colors from the merle; some dogs do appear completely merle with no white or tan markings. Merle may also alter other colors and patterns other than the usual red or black. These other possible combinations such as Brindle Merle or Liver Merle are not typically accepted in many breed standards. In addition to altering base coat color, merle also modifies eye color and coloring on the nose and paw pads. The merle gene modifies the dark pigment in the eyes, occasionally changing dark eyes to blue, or part of the eye to be colored blue. Since merle causes random modifications, however, both dark-eyed, blue-eyed, and odd-colored eyes are possible. Color on paw pads and nose may be mottled pink and black. Mm: Merle dog with one non mere parent. 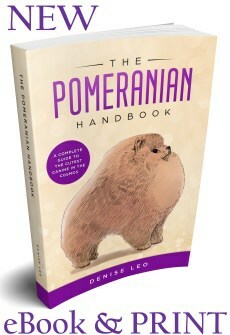 ( For those wishing to breed merle Pomeranians this is the preferred mating). The association of merle coloration and deafness is well established. The Hanover Veterinary School has studied merle dogs since 1971. Studies on the eyes of these dogs have revealed the following results. All the normal mm dogs were devoid of eye anomalies while all the MM animals had a series of eye defects. These included the absence of the Tapetum lucidum, lack of retinal pigment, a rudimentary lens, microphthalmia, microcornea, microcoria and other more minor conditions. Mm cases also had similar eye problems although less severe in most instances. Research done at Hanover Veterinary School over a 30 year period on Merle dogs revealed impairment of sperm production in both Merle dogs [Mm] and dogs from Merle to Merle breedings [MM]. 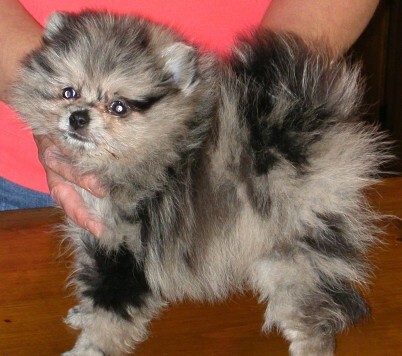 Breeding Merle to Merle Pomeranians. Merle Pomeranian to Merle Pomeranian should yield 50% of the progeny merle, 25% black and 25% white. The whites produced from these mating’s will be both deaf and blind.” Merle is actually a heterozygote of an incomplete dominance gene. If two such dogs are mated, on the average one quarter of the puppies will be double merles (“double dilute”) and a high percentage of these double merle puppies could have eye defects and/or be deaf. 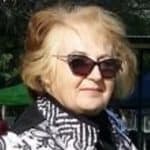 Knowledgeable Pomeranian breeders who want to produce merle Pomeranian puppies mate a Pomeranian merle with a non-merle Pom dog; these breeding’s will produce merle pomeranian puppies. 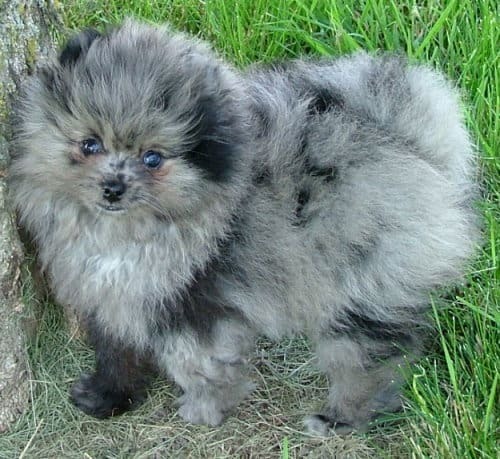 Please note the merle color pattern in Pomeranians is not an approved Pomeranian color in most countries ( apart from the United States of America). Official English Kennel Club Pomeranian Breed Standard , 2017.